Auditor spots are still available - Click here to apply. Click here to read an interview by Open Letter’s Chad W. Post with Bread Loafer Katie Whittemore about her forthcoming translations and her experience attending last year’s Bread Loaf Translators’ Conference. Congratulations to Bread Loafers Catherine Nelson and Jeanne Bonner for receiving PEN grants for their translations! Catherine Nelson received a 2019 PEN/Heim Translation Fund Grant for her translation from the Spanish of Tea Rooms: Working Women by Luisa Carnés, and Jeanne Bonner received the 2018 PEN Grant for the English Translation of Italian Literature for her translation of A Walk in the Shadows by Mariateresa Di Lascia. "Since our group had nine translators working from six languages, we learned about translation issues in a variety of source languages outside our own, and each piece we discussed brought insights about a particular culture." "What I got out of this conference has been well beyond what I could have imagined. Most importantly, perhaps, I left with the beginnings of an overall conception of a method that works for me and the resources to begin plying this craft and honing my skills to accomplish what I have been envisioning doing for years." Literary translation is, as its name suggests, the translation of a literary work such as a poem, essay, short story, or novel, out of its original language and into a new language, but it is also the creative, complex, and writerly activity of making an equivalent literary text exist (at least in the United States) in English. The 5th annual Bread Loaf Translators’ Conference is a week-long event based on the Bread Loaf Writers’ Conference model that is designed to provide training and community to beginning as well as experienced translators in the pursuit of translating literary texts into English—or to those aiming to be more sophisticated readers of literary translation and to incorporate it into the classroom. A natural complement to signature Middlebury programs such as the Bread Loaf Writers’ Conference, the Language Schools, and the equally-renowned translation and interpretation degree programs at the Middlebury Institute of International Studies at Monterey (MIIS), this conference aims to strengthen the visibility and access to high quality literary translations in the United States and to acknowledge that translators require the same training and skills as creative writers. Friday, May 31—Thursday, June 6, 2019. 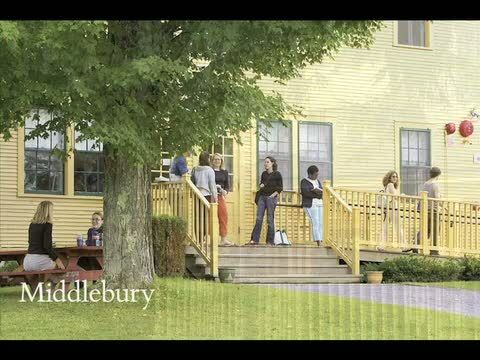 The conference will take place at the Bread Loaf Campus of the Middlebury College in Ripton, Vermont. The conference will incorporate the Bread Loaf Writers’ Conference model of small, focused, genre-based workshops coupled with lectures and classes focusing on the art of literary translation. Workshops will be limited to ten participants so that each manuscript will receive individual attention and careful critique. All participants will also meet individually with their workshop leader to amplify and refine what was said in the workshop itself. This week-long conference of workshops, classes, lectures, readings, and discussions is for translators who want to improve their literary craft; for students mastering a foreign language and wanting to begin acquiring skills in the art of translation; for teachers interested in bringing the practice of literary translation into their classrooms; and for anyone wanting to learn more about and participate in the ever-growing community of literary translators. To get a better feel for what to expect during the week, see this sample schedule from the 2018 conference. In addition to the lectures, workshops, classes, and readings listed, meetings with editors take place during the afternoon, and faculty schedule an individual meeting with each contributor to take place during the session. The workshop packet of student translations for the Translation Workshops and packet of readings for the Introductory Workshop are made available in the weeks leading up to the session in order to allow time to read and prepare before arrival. Bread Loaf Writers’ Conferences create diverse and inclusive communities that give voice to writers and translators of all ages and experience. The conferences are not retreats where participants work in solitude, but instead places where writers and translators of all backgrounds and at all stages of their careers—unpublished and published—come together to test their assumptions regarding literature and to seek advice about their progress. Built on a long history of gathering writers from all over the United States, and now from outside of the U.S. as well, to live and learn together during the intensive 7 days, Bread Loaf fosters communities where open-mindedness, respect, and appreciation are truly valued and where each person can thrive and benefit from their time on the mountain. Acclaimed and award-winning translators John Balcom, Edward Gauvin, Elisabeth Jaquette, Suzanne Jill Levine, and Emily Wilson will constitute the faculty during this third annual session. In addition to their literary accomplishments, each faculty member has been specifically chosen for his or her skill at guiding developing translators in a given genre. Other guests from the publishing, literary, and translating world will offer panels, discussions, or one-on-one meetings with conference participants. This workshop is ideal for those interested in literary translation but are still acquiring sufficient proficiency in a foreign language, those who do have some language skills but do not yet have a translation sample to submit for critique, students of literature, comparative literature, and creative writing, and teachers who are interested in learning how to incorporate translation into the classroom. The purpose of the workshop will be to acquaint participants with some of the recurring questions, problems, and pleasures of the activity of literary translation. Students will be provided with literary texts from different genres and languages and expected to create translations that will be reviewed in class. These workshops are intended for students who already have sufficient foreign language skill and are working on translations that are in-progress. Workshops will be genre based: two workshops in prose (fiction and creative nonfiction) and one workshop in poetry will be offered. In addition, there will be the option of a mixed-genre workshop (comprised of translations of either poetry or prose or of texts in hybrid genres). These workshops are ideal for students and translators who are still honing skills and have a translation sample that they would like to submit for critique as well as intermediate or advanced translators who have undertaken a project and are looking for feedback. Manuscripts of up to 4,000 words (for prose) or 8 pages (for poems) will be reviewed in the workshop and in a one-on-one conference with the instructor. Auditors are those who would like to attend a translation manuscript workshop or the introductory workshop but do not feel ready to participate fully. Auditors are assigned to a workshop and, as the name implies, are asked primarily to listen and observe during the workshop meetings. Auditors do not submit a manuscript or assignments for review and do not receive an individual conference with the instructor. Outside of the workshop, auditors participate in all aspects of the conference including the daily readings, lectures, craft classes, receptions, and social events. Thanks to support from the Katharine Bakeless Nason Endowment and Middlebury College, the conference is making available a limited number of $500 and $1,000 scholarships as well as at least three full scholarships. See the BL Translators' pages for more details: Faculty & Guests, Application & Acceptance, Lodging & Logistics, and Fees & Deadlines. Natasha Trethewey, Monument: Poems New and Selected; and Jenny Xie, Eye Level.